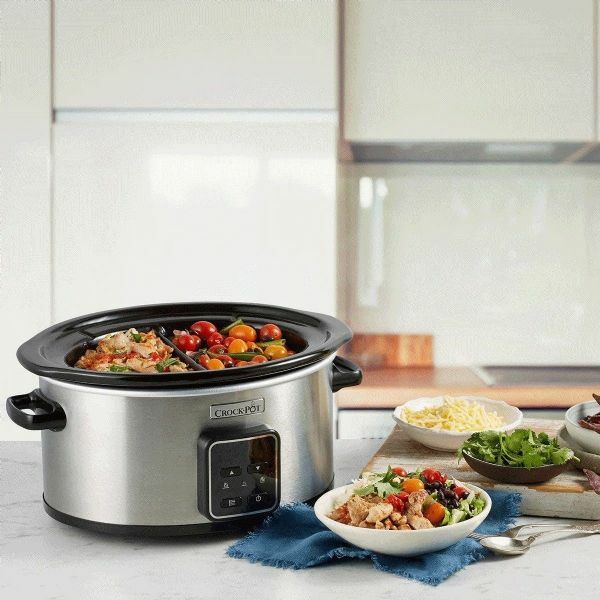 Create deliciously nutritious, homemade dishes with this Crock-Pot Digital Slow Cooker. Perfect for casseroles and hearty soups plus succulent pulled pork, tasty tagines, voluptuous chocolate pudding and much, much more. 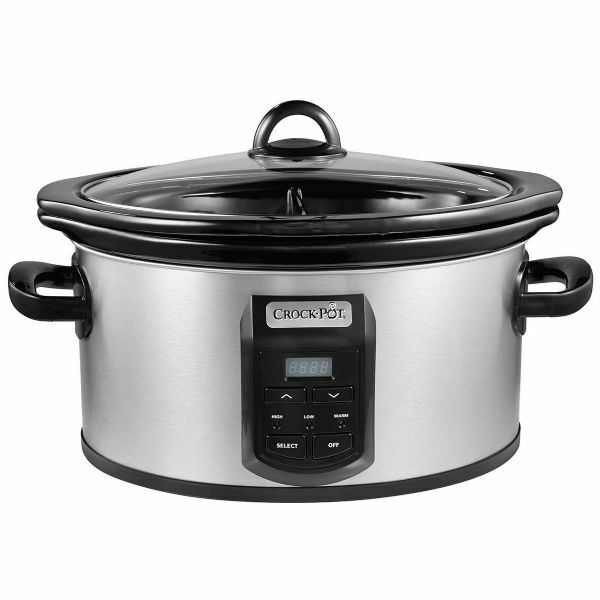 Let Crock-Pot do the hard work, while you get on with your day. Customise your cooking with the two interchangeable bowls. 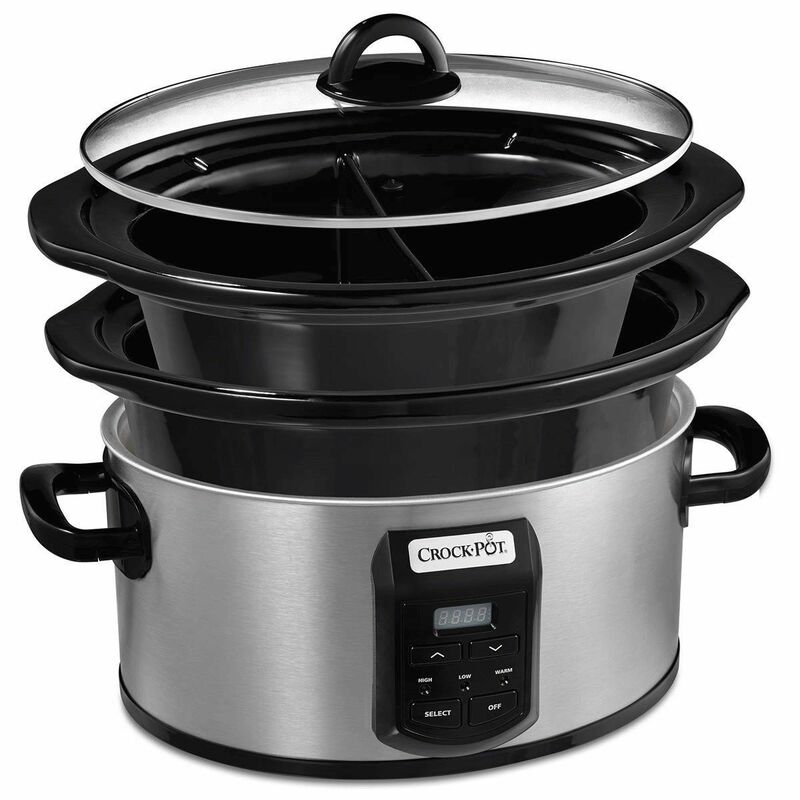 If you’re cooking for a crowd or just making sure there's enough for the freezer the large, 5.6 litre capacity bowl is perfect. Use the handy 2.4 litre split bowl for smaller family meals, preparing main and side dishes together or two different meals, plus hot dips and sauces. Choose from the low, high and keep-warm settings to best suit your creation. For ultimate convenience, the adjustable timer allows you to set the perfect cooking duration - from 30 minutes to 20 hours - while the digital display counts down the remaining cooking time so you can see at a glance exactly when your meal will be ready. 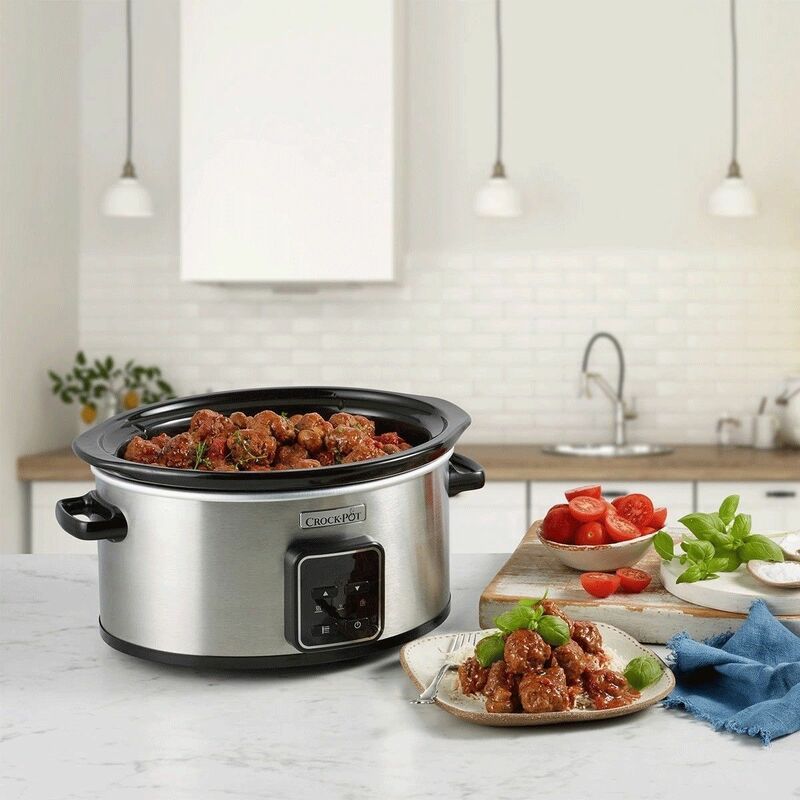 But don't worry; if you're not around when the cooking time has elapsed, your slow cooker will automatically switch to keep-warm so your meal is ready when you are. 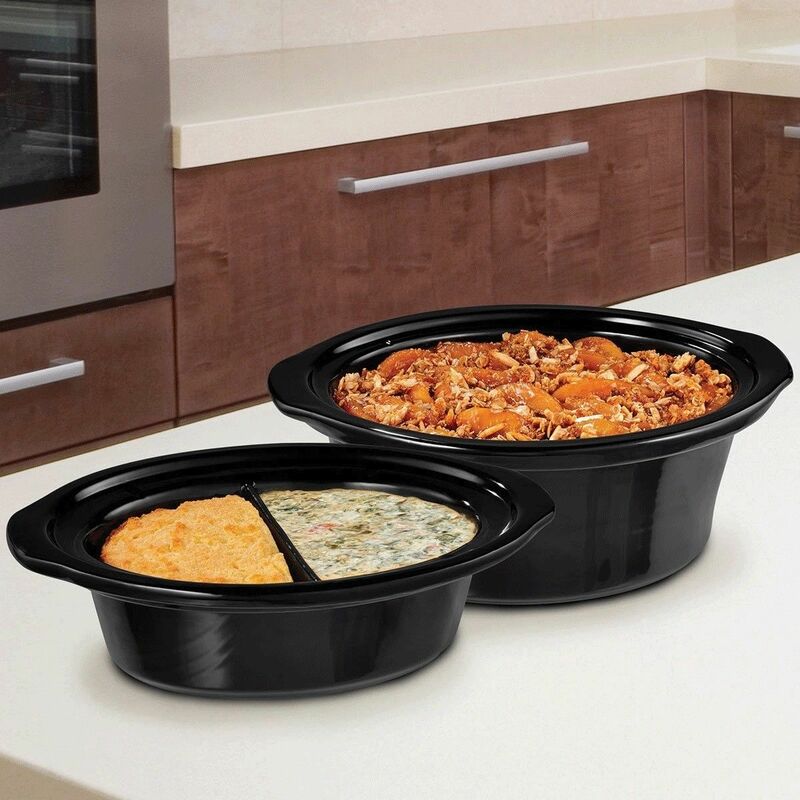 After cooking, the attractive removable bowls can be taken straight to the table for serving, and if you have leftovers it can also be stored in the fridge or freezer.